On occasion, someone asks us why we do not sell a 4″ memory foam topper and just offer 3″ and 2″ versions of our Healthy Foundations Memory Foam Topper. I had a question like this recently. What we have found over the years, is that if someone thinks they need a 4 inch memory foam topper, they likely need a new mattress. A topper is meant to make a mattress that is too firm more comfortable, softer, reduce pressure points, etc. It is not meant to “fix” a mattress that is past its useful life or turn a standard mattress into a memory foam mattress. For most people who have a mattress that is too firm, our 2″ topper works well. The 3″ topper is for those who want a very plush feel. 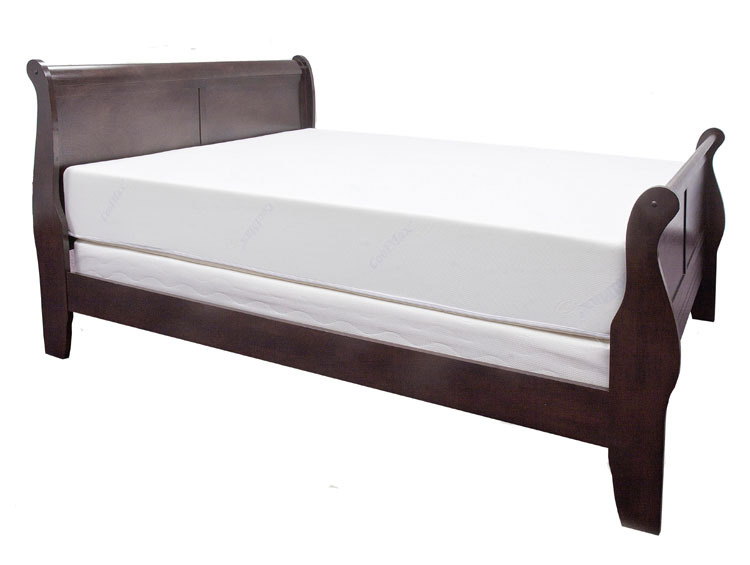 If you are looking to put our memory foam topper over an existing memory foam mattress, we suggest the 2″ topper. So if you really think you want a 4″ memory foam topper, ask yourself why. If you are trying to fix a broken down mattress that is past its useful life, a topper will not do that. If you want a 4″ memory foam topper because you really want a memory foam mattress, then perhaps it is time to start shopping for a memory foam mattress. To learn more about the Healthy Foundations Memory Foam Toppers, go to memory foam topper. To learn more about memory foam in general, check out our Guide to Memory Foam.